Gov. 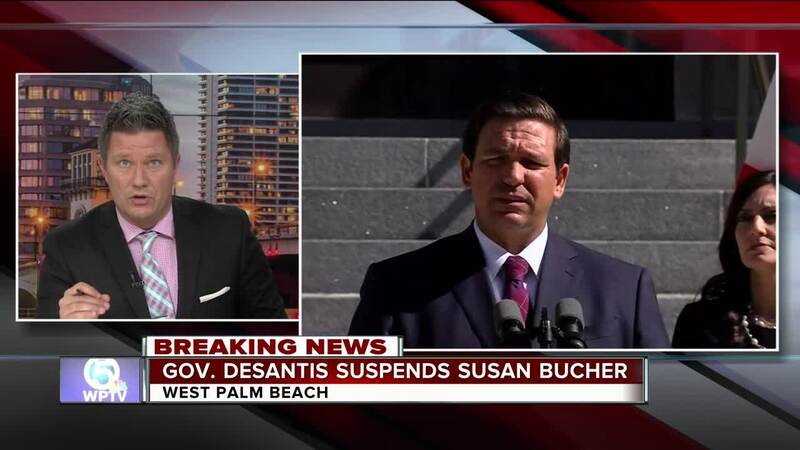 Ron DeSantis suspended embattled Palm Beach County Supervisor of Elections Susan Bucher on Friday. WEST PALM BEACH, Fla. — Gov. 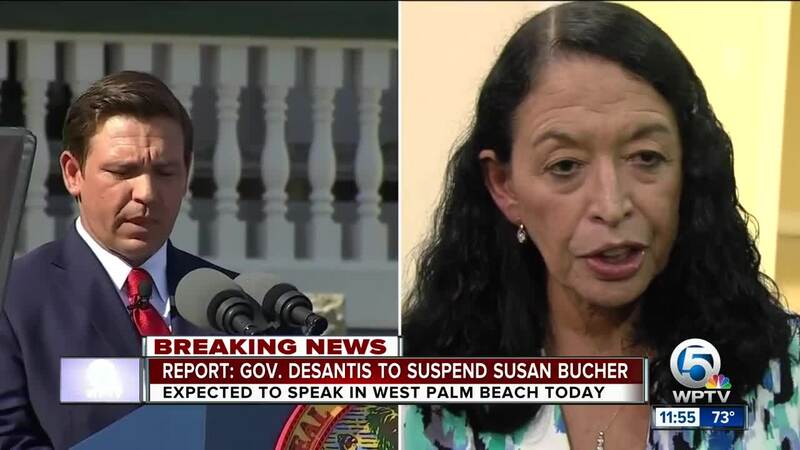 Ron DeSantis suspended embattled Palm Beach County Supervisor of Elections Susan Bucher on Friday. "I think there were a train of problems," said Gov. DeSantis at a news conference in West Palm Beach. "It's not just, there was a mistake here, a mistake there. It really tarnished the image of the state of Florida. I want to make sure it doesn't happen again." The Governor said attorney Wendy Link will take over the position for the next two years, but will not seek re-election. "I'm going to ensure that Palm Beach County is well prepared for every election," said Link. "That everyone has the assurance and the sense of security that their vote will count." Link said her office is going to work intelligently and efficiently to replace voting equipment. "We'll work with our local and state partners to restore voter confidence," said Link, who admitted she has a lot to learn. "We're going to work hard to earn the voters' trust and respect." An attorney for Bucher declined to comment about Friday's announcement. Bucher came under fire during the November election, after her office failed to meet a recount deadline in the highly contested Governor and U.S. Senate races. as well as the race for Agriculture Commissioner. The Governor said Bucher violated Florida law by missing the recount deadline, by failing to submit improperly completed ballots to a state canvasing board, and for her handling of voter intent determinations and voters who filled out duplicate ballots. "You had the whole country basically laughing at us," Gov. DeSantis said. RELATED: Calls continue for PBC Supervisor of Elections to resign | What can be done to improve Florida elections in 2020? "As the supervisor, I take full responsibility, that’s my job," Bucher told WPTV back in November. "It’s not for lack of human effort. The human effort was incredible and I thank everyone, but the fact of the matter is when there’s mechanical failures there’s not much I can do about it." Bucher said she inherited outdated equipment that malfunctioned during the recount process, causing her office to miss the deadline. "We need the proper equipment, and I think that would eliminate 99 percent of the issue," Bucher told WPTV. WPTV asked Bucher in November if she felt any political pressure to resign. "This is a very important position," Bucher said in November. "I knew coming in that it would be very stressful. This is where our democracy happens, this is were we count people's votes, this is where their voices are heard. So I will dedicate myself with every effort that I have." The Florida Democratic Party responded to Friday's announcement by the Governor, calling it a gross overreach of power. "In the United States, our elections are sacred and our elections supervisors are democratically elected -- the Governor's recent power grab, removing Democrats from elected positions, including Susan Bucher, should be seen for what it is, a gross overreach and a politically motivated move to consolidate power and obstruct the will of the people." Also on Friday, the Governor accepted the resignation of Broward County Supervisor of Elections Brenda Snipes, who admitted to misplacing 2,000 ballots during the recount. She planned to resign on Jan. 4, but rescinded her resignation after former Florida Gov. Rick Scott suspended her in November. Snipes filed a federal lawsuit to get her job back. But on Friday, Gov. 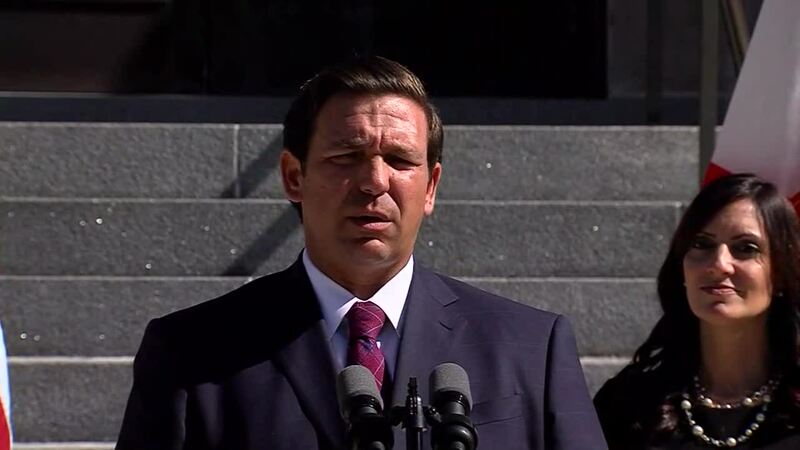 DeSantis issued an executive order to end that litigation.